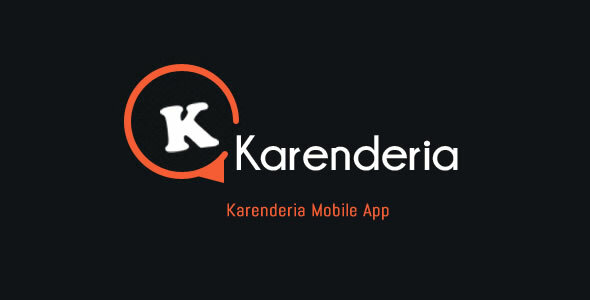 18 items tagged "Mobile App"
Karenderia Mobile App is a customer ordering version for Karenderia Multiple Restaurant System. 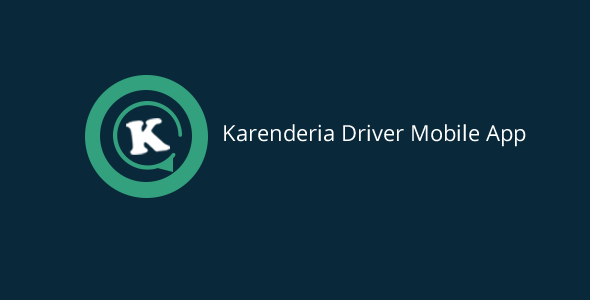 Karenderia mobile app connects to KRMS via json api calls just simply install the modules for the api and settings and your all done. its comes with very easy steps by steps procedure on how to install the api & settings modules. 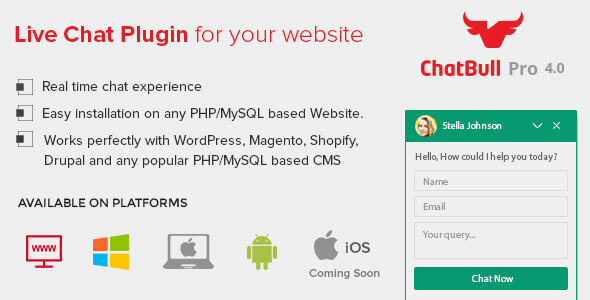 If you are looking for Live Chat Plugin which could easily be integrated with your website and give you a wonderful experience to connect with your website visitors to grow your business. That plugin is ChatBull. ChatBull is developed at G-axon Laboratory with the best tools and frameworks. CodeIgniter & Angular JS are base of it which are the most light and popular frameworks in their domain. 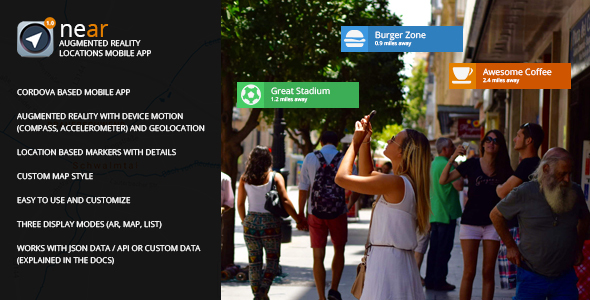 near is an Augmented Reality type mobile app, displaying locations 3 ways: AR view, map and list. 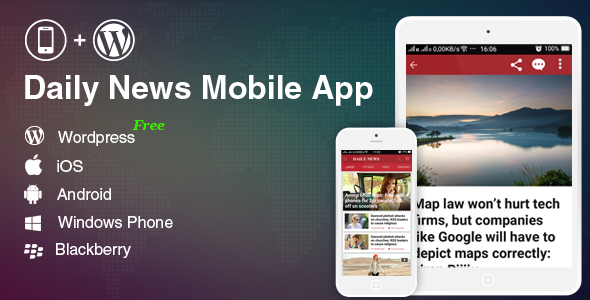 It is a Cordova based app, and the code is written in HTML, CSS, jQuery. 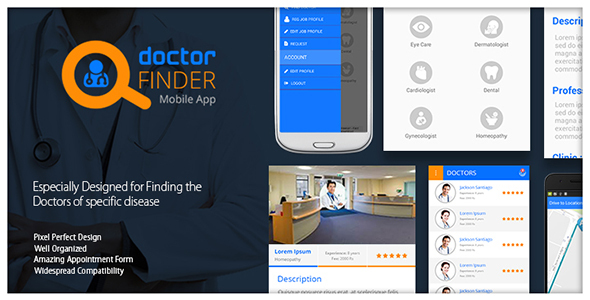 Online Doctor finder Doctor finder app makes it easier to bring close Patients and Doctors. Find a Doctor and book appointments online instantly! Read verified doctor reviews and ratings by real patients. So you have the widest range of options while choosing the most suitable doctor. 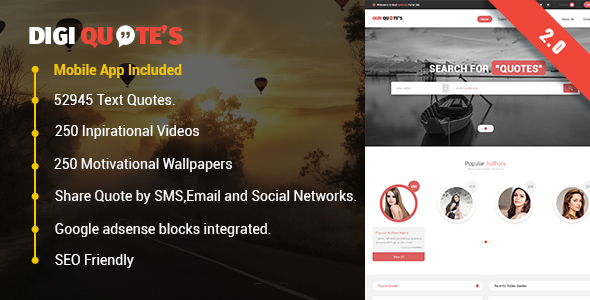 DigiQuotes is an utilmate script with over 50000 motivational text quotes, 250 inspirational videos and 250 motivational wallpapers collection. The best inspirational script, which comes with google adsense integration and other ad blocks. cool support team is here for all support requests. 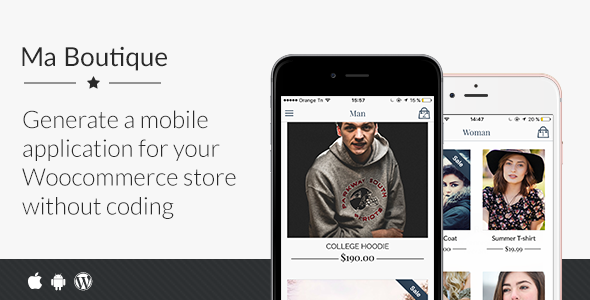 Ma Boutique is a full online shopping mobile application available for both IOS and Android that allow you to create an app for your Woocommerce store easily and without having to code or hire a developer which then you can upload to App Store and Play Store. 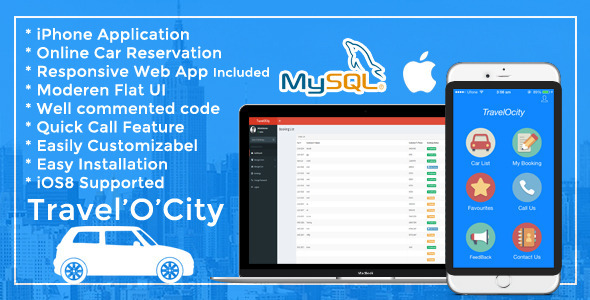 Travel’O’City is an iOS (iPhone & iPad) application for Car,Taxi and Cab Rental. Admin can add available cars from online web application ( Written in PHP/MYSQL ). User can Book Car/Taxi or Cab from his/her mobile and Admin will be notified in web application , Booking status can be changes from admin panel. 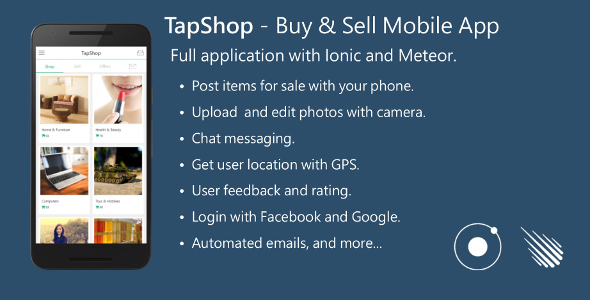 Build your own Ad Listings Mobile App in a few minutes! Both iOS and Android builds included! Easy to build for other platforms (Windows Phone, Amazon Fire OS, BlackBerry, FireFox OS, Ubuntu Phone 8, Tizen) just with a line of code in your terminal. 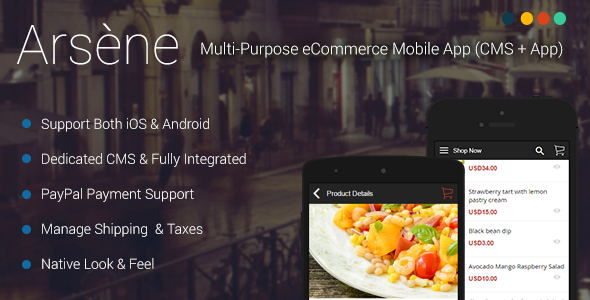 Arsene is a eCommerce mobile application with full featured CMS for iOS and Android Platforms powered by AngularJS and Cordova/Phonegap for small and medium businesses. Arsene build highly modular with clean code and directory structure. 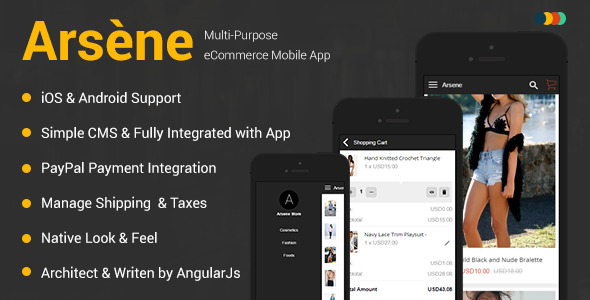 Arsene is a Multi-Purpose eCommerce mobile application for iOS and Android Platforms powered by AngularJS and Cordova/Phonegap for small and medium businesses. 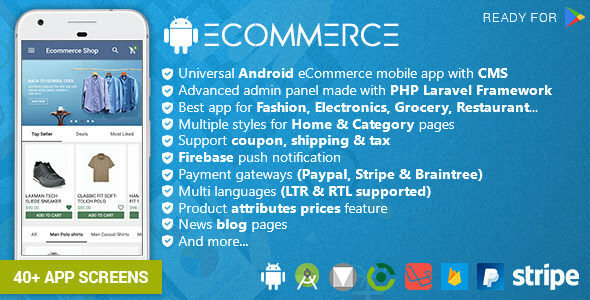 You can easily sell your products, Manage your orders and receive payments via PayPal or Cash on Delivery. Washington is a HTML5 template which includes a wide variety of elements pre-developed and designed and a very modern and stylish design.